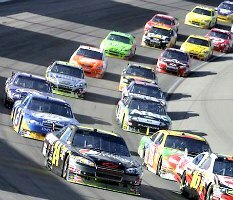 Las Vegas Motor Speedway is a 1200 acre complex with several exciting racing tracks, hosting exciting events for sports fans. The complex has a seating capacity of 150,000 and offers an exciting race-watching experience. Every year, this grand venue hosts racing events - it's home to the NASCAR Sprint Cup and Las Vegas 400 series. It is recognized today as one of the best racing destinations in the world. There is a pit road very close to the audience stands, providing a thrilling experience to the viewers. 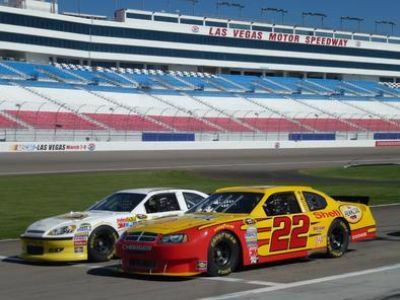 Other than organized spectator sports, Las Vegas Motor Speedway offers entertainment for racing fans year round. Race car aficionados can try their hand at the wheel of real race cars! There's a great fleet of exotic cars, readily available for a test drive. The models include Ferraris, Lamborghinis, Audis, Jaguars, SLR McLaren, Bentley Continental Supersports, Nissan GT R, Corvette Z06, Aston Martin, to name a few! Other attractions include a new fan zone called the Neon Garage, where spectators can watch their favorite teams and drivers up close, and a Winner's Circle. 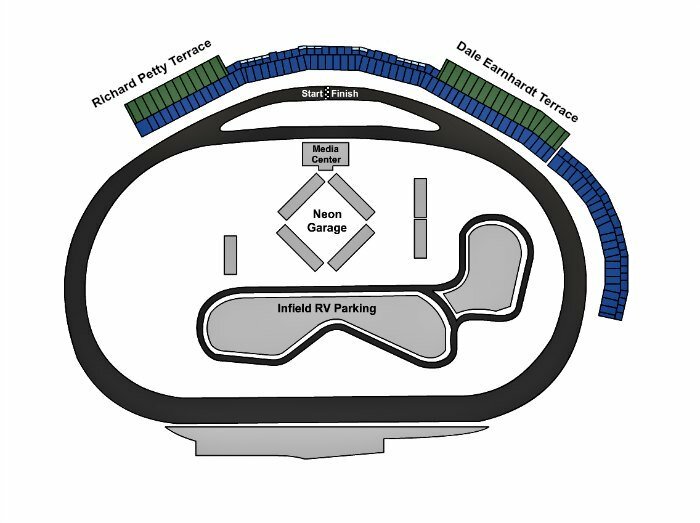 For your convenience, here is Las Vegas Motor Speedway seating chart. 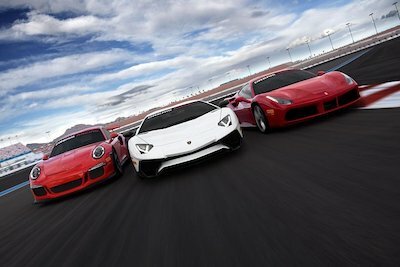 Adrenaline junkies and fans of exotic race cars will be pleased with the variety of Las Vegas Motor Speedway tours that will exhilarate your body and leave lasting memories. Theses excursions are perfect for the high speed adventure seeker that wants to take control behind the wheel of an exotic race car. 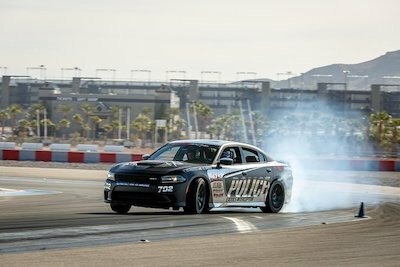 The tours include expert driving instructors who will teach you the tricks of the trade before you set-off down the 1.5-mile Las Vegas Motor Speedway that includes seven scintillating turns and a 1,800-foot straight away. You can decide on how many laps you want to drive or maybe you just want to experience a thrill ride of a lifetime while riding shotgun in one of the world’s fastest cars. No matter what type of driving experience you already have there is an ideal exotic car experience for you to enjoy. When you want to drive like a NASCAR king around a state-of-the-art race track at high speeds, then a great Las Vegas Motor Speedway tour for you to try is the Richard Petty Driving Experience at Las Vegas Motor Speedway. Your 3-hour adrenaline filled driving experience begins when you arrive at the Las Vegas Motor Speedway and meet an expert race car driver. After you are outfitted with a racing suit and helmet, you will attend an orientation meeting on how to maneuver and navigate a real NASCAR racing vehicle. There are several phases to this driving experience that includes racing situations that range from practice to rookie to the checkered flag where you will throttle up down the straight away at high speeds. 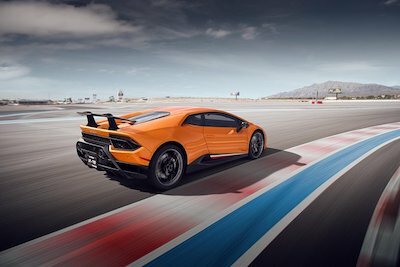 Longer driving experiences include a lifetime drive, victory lane and world champion driving experience where you must successfully control your high powered beast. After you complete your thrilling adrenaline loaded driving experience you will receive a couple of added bonuses which are a souvenir racing license plate and a graduate certificate that you can proudly display to your friends. If you like high speeds, lots of adrenaline and fast cars then an ideal tour for you is the Las Vegas Richard Petty Drive Along Experience. Your adrenaline packed ride begins when you arrive at the Las Vegas Motor Speedway where you will meet your expert NASCAR driver. After suiting up and putting on a helmet you will learn more about how to handle a 600hp racing car that can reach speeds of 160mph. Once you sit in the passenger seat your adrenaline will start to run at high levels whien you take three stunning laps around the 1.5-mile race track that features seven turns and a long straight away. You will experience the G-force of the powerful racing car as you drift around the corners and put the pedal to the metal down the straight away. Your once-in-a-lifetime racing experience concludes when you finally stop shaking from the rush of adrenaline and take your racing suit off. When you are ready to take your adrenaline to a higher level by racing a car that you only dreamed of handling a track, then the Exotic Car Driving Experience Package In Las Vegas is perfect for you. 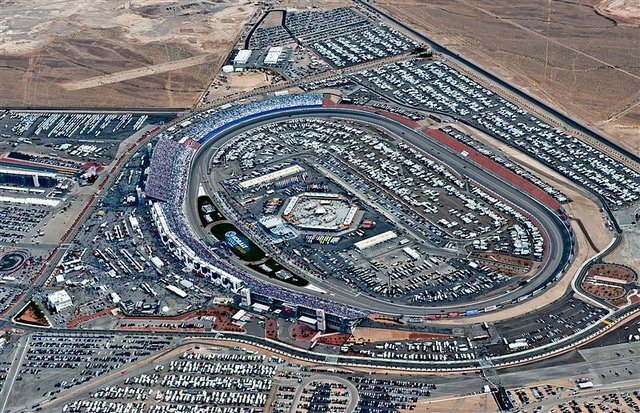 Your 2-hour driving adventure begins when you arrive at the Las Vegas Motor Speedway where you will meet your expert driving instructor who will teach you all the ins and outs of racing on this 1.5-mile motor speedway. Once you have mastered steering techniques, braking and accelerating, driving position behind the wheel and identifying the proper racing lines, you will then take two laps around the track with your driver. After completing the two laps you will then choose one of the following exotic cars to drive that include a Porsche Cayenne, a Ferrari 458 Italia, McLaren 570S, Mercedes AMG GTS, a Ferrari F430 F1 and a Corvette C7 Z06. Now you get to have your fun as you race at high speeds during four laps around the race track. Your exciting tour concludes when you throttle down on your final lap. One of the best ways to get your adrenaline flowing when you are in Las Vegas is to try the Las Vegas Exotic Car Drive-Along. Your thrilling exotic car ride begins when you arrive at the Las Vegas Motor Speedway and meet your expert driver. Once you put your helmet and racing suit on you will board one of the fastest cars created today, the Dodge Charger Hellcat SRT. This exotic race car will amaze you with 707hp V8 engine that roars like a lion. While you sit shoot-gun, your experienced driver will take-off around the 1.5-mile race track. During your ride you will experience high powered adrenaline rushes as you drift around the seven corners and hit unbelievable high speeds down the straight away. Your heart will be beating for a few good minutes while you remove your racing suit and the memories of high speed racing will last a lifetime from this remarkable Las Vegas Motor Speedway tour. Here is a list of the most popular yearly Las Vegas Motor Speedway events. Boyd Gaming 300 is a highly anticipated and exciting racing event. In the sports world, NASCAR is at the top of the list since the events are exciting and thrilling for viewers. 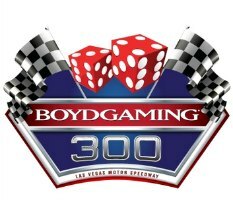 Boyd Gaming 300 at the Las Vegas Motor Speedway is set to deliver an experience that viewers won't forget for a very long time. This event is an important part of NASCAR circuit, drawing some of the most well known and talented drivers from all over the world. The result is an event that should be experienced live to truly appreciate it. The event draws thousands of fans and the level of excitement is at the peak. Kobalt 400 is held each year in Vegas at the Las Vegas Motor Speedway. It is a NASCAR Sprint Cup race that first began in the year 1998. Kobalt 400 is a unique race since the winner doesn't receive a trophy but a championship belt. From 1999 till 2002, it was also a part of the famous No Bull 5 Challenge. Over the years Kobalt 400 was known by many different names such as Shelby American, Shelby 427, UAW Dodge 400 and Kobalt Tools 400. However, it has managed to deliver the same level of excitement to fans and has attracted millions of spectators. 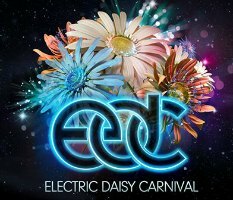 The Electric Daisy Carnival is one of the largest events for EDM- electronic dance music, held at Las Vegas Motor Speedway in summer. Hundreds and thousands of people flock to Vegas for the carnival. The event features some of the best EDM DJs in the world, circus performances, carnival rides, art and much more. The music festival is organized by Insomniac Events. It features an overwhelming amount of neon paraphernalia that glows in the dark. Attendees will find people with painted faces and fuzzy boots, live music and eve firework shows at the event. The Electric Daisy Carnival lasts for three full days and is a fun event for EDM lovers.